Here at DonJoy Performance®, we stand for confidence to perform at the highest level. We pioneer innovation to empower athletes to stay in motion and reach their potential best. That’s why we are thrilled to introduce the Bionic™ Reel-Adjust bracing with Boa® Fit System to the DonJoy Performance® collection of bracing. What is the Reel Adjust Collection? The Reel-Adjust collection has partnered with Boa® Fit System to create supportive bracing with quick and simple applications and adjustments. Featuring the Wrist Brace and Back Brace, these products offer the things that an athlete or active individual looks for in a brace. What Is the Boa® Fit System? The Boa® Fit System contains three integral parts: a micro-adjustable dial, super-strong lightweight laces, and low-friction lace guides. Each configuration is engineered to optimize fit and provide precision, adaptability, and control. The first Boa® Fit System launched in 2001 with Vans® and K2® snowboard boots as an easy-to-use and durable alternative to traditional laces. A company rooted in innovation and collaboration, Boa has since found a home with a multitude of brands across numerous industries including snow sports, golf, athletic, outdoor, cycling, workwear and medical. How Does the Boa Fit System Align With the Reel-Adjust Collection? The Boa Fit System allows you to make incremental single-handed adjustments throughout the day meaning you can control pressure and manage fit without ever removing your brace or clothing. And Boa’s circumferential compression helps minimize pressure points and speed injury recovery. 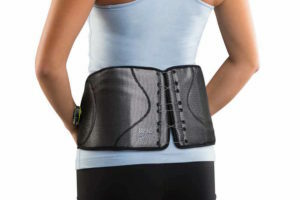 Specific to DonJoy Performance® Back Brace, the Boa® adds a new level of support and provides a very precise fit—so much so that it eliminates the need for DonJoy® to make separate sizes. 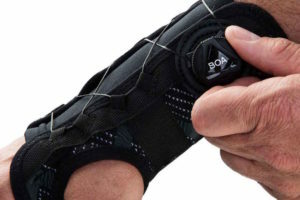 The Wrist Brace that integrates the Boa® Fit System allows for single-handed, micro-adjustments for easy adjustments. Why Is the Boa® Fit System So Unique? Boa® is a patented system designed to provide a customizable, performance fit and offer lasting comfort. Made up of a dial, lace and guides, the Boa® Fit System allows the user to dial in the perfect tension for a stable, secure fit. What’s the Advantage of the Boa® Fit System vs. Traditional Laces? Every Boa® dial is designed to give you the ideal fit to best leverage all the amazing technology in your brace. 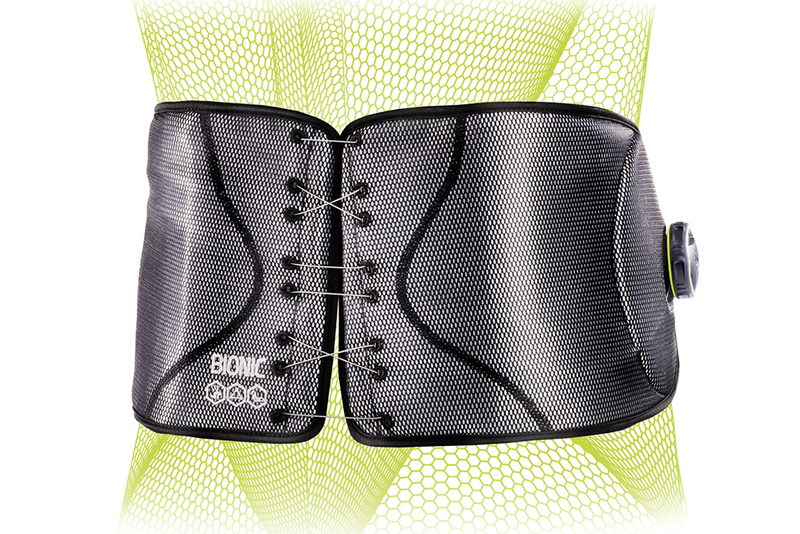 Wearing a brace with Boa Fit System technology allows you to do quick, micro adjustments while wearing. It is ultra-durable and strong, so you can stay focused and confident throughout all your activities. How Reliable Is the Boa® Fit System Compared to Traditional Lace Systems? With traditional lace or loop and hook, it can be difficult to get the right tension, adjustment, and fit, especially without assistance. Laces and loop and hook closures can get dirty, fray, or lose tension as activity occurs or during general use. Boa offers stability and security, and a consistent comfort. The system is extremely durable and has been tested to exceed high-quality standards, so it won’t stretch or flex throughout the day. It’s designed to perform in any environment and is built to last the lifespan of the brace. Boa® Technology Inc., creators of the revolutionary, award-winning, patented Boa® Fit System, partners with market-leading brands to make the best gear even better. Delivering fit solutions purpose-built for performance, the Boa® Fit System is featured in products across snow sports, cycling, hiking/trekking, golf, running, court sports, workwear, medical bracing, and prosthetics. The system consists of three integral parts: a micro-adjustable dial, super-strong lightweight laces, and low friction lace guides. Each unique configuration is engineered for effortless precision delivering a connected, fast, customized and durable fit, and is backed by The Boa® Guarantee. Boa® Technology Inc. is headquartered in Denver, Colorado with offices in Austria, Hong Kong, China, South Korea, and Japan. For more information, visit BoaFit.com. Individual results may vary. Neither DJO Global, Inc. nor any of its subsidiaries dispense medical advice. The contents of this blog post do not constitute medical, legal, or any other type of professional advice. Rather, please consult your healthcare professional for information on the courses of treatment, if any, which may be appropriate for you. Vans® is a registered trademark of Vans, Inc.